Less than 10 minutes’ walk from the Sutthisan and Huay Kwang Metro Stations, Pietra Bangkok features a 24-hour front desk, free onsite parking and free Wi-Fi throughout the hotel. 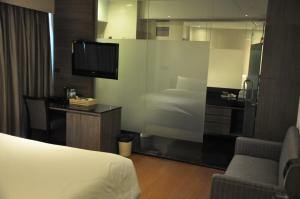 The modern rooms at Bangkok Pietra have luxurious linens, spacious bathrooms and walk-in wardrobes. 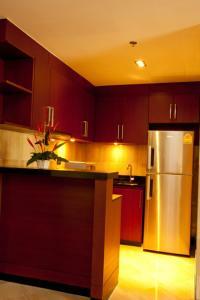 Tea and coffee makers, DVD players and seating areas are also found in all rooms. Guests of the Pietra can relax with a massage in the spa centre or use the well-equipped gym. 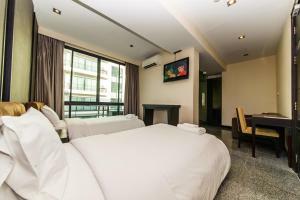 The Pietra Bangkok is 15 minutes’ drive from the Grand Palace and the Wat Arun Temple of the Dawn, while Ratchada Rot Fai Night Market is 2.1 km away. 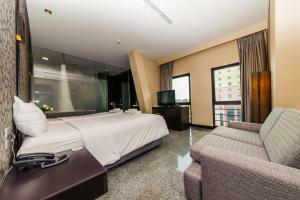 Air-conditioned room features a flat-screen cable/satellite TV, a DVD player and a minibar. It has a safety deposit box and a tea/coffee maker. 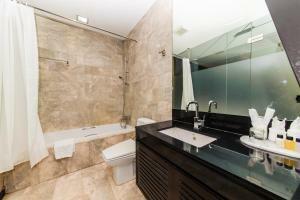 A bathtub and a hairdryer are included in an en suite bathroom. 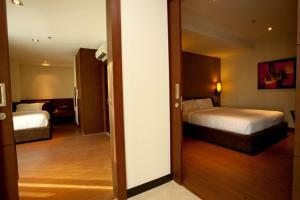 Larger air-conditioned room features a flat-screen cable/satellite TV, a DVD player and a minibar. It has a safety deposit box and a tea/coffee maker. A bathtub and a hairdryer are included in an en suite bathroom. 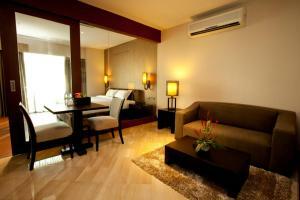 Spacious air-conditioned room features a flat-screen cable/satellite TV, a DVD player and a minibar. It has a safety deposit box and a tea/coffee maker. 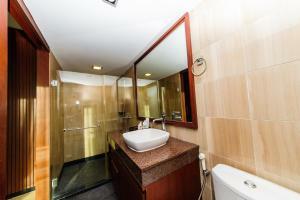 A bathtub and a hairdryer are included in an en suite bathroom. 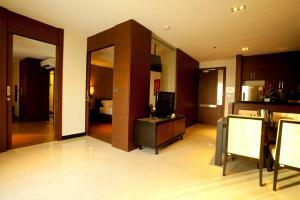 Rate: THB 1500.00 ... THB 2500.00; select dates below to get current rates. 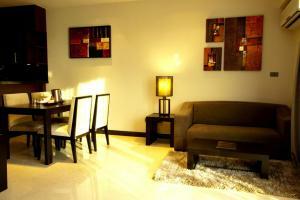 Suite features a separate living room, a private balcony and well-equipped kitchenette. It also comes with a flat-screen cable/satellite TV, a DVD player and a safety deposit box. 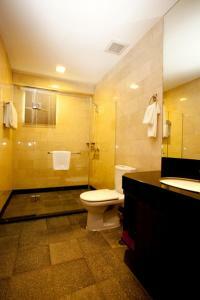 A bathtub and a hairdryer are included in an en suite bathroom.